Zoom's seamless video conferencing platform makes it the perfect tool to connect to Meetingbird. In this article, we'll walk through how to do so. Click the Settings tab in the sidebar and then choose Integrations. 3. Click the blue "Add an Integration" button and then choose Zoom. When you're redirected to Zoom's website, simply login with your Zoom account and authorize Meetingbird. 4. 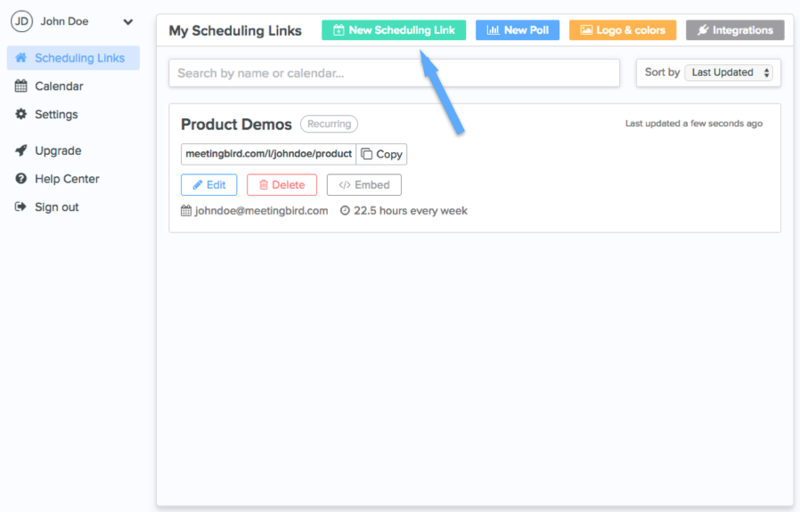 When you redirected back to Meetingbird, create a new scheduling link by clicking the green New Scheduling Link button. 5. On the scheduling link editor, click the "Event Settings" section and toggle the Location Mode to Zoom. 6. Save or create your scheduling link by clicking the blue button on the top right corner. 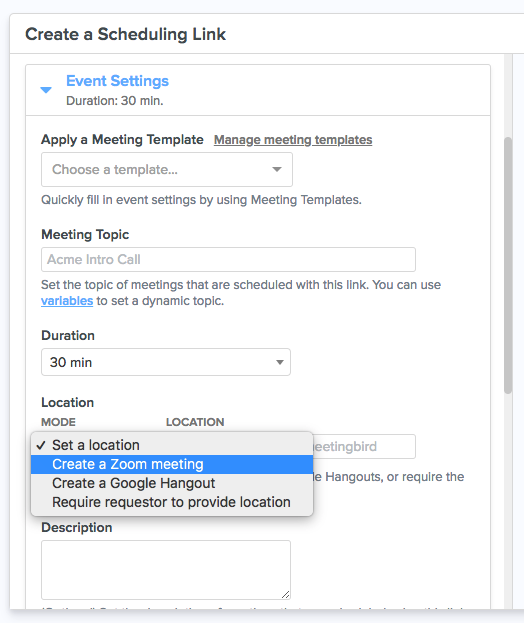 Now, every time someone schedules a meeting on this scheduling link, Meetingbird will generate a new Zoom meeting and add the join url to the location field of the calendar event. That's it! If you have any questions, don't hesitate to reach out to our team at [email protected].